The joy and independence of cycling is something that everyone should experience. Cycling is an excellent way to improve your health, lower your carbon footprint or explore and enjoy most cities and towns around the world. It’s for this reason that we’re pretty excited about the release of our latest Jordaan Series cruiser bicycles. Sounds pretty good, right? But we think it could be better. 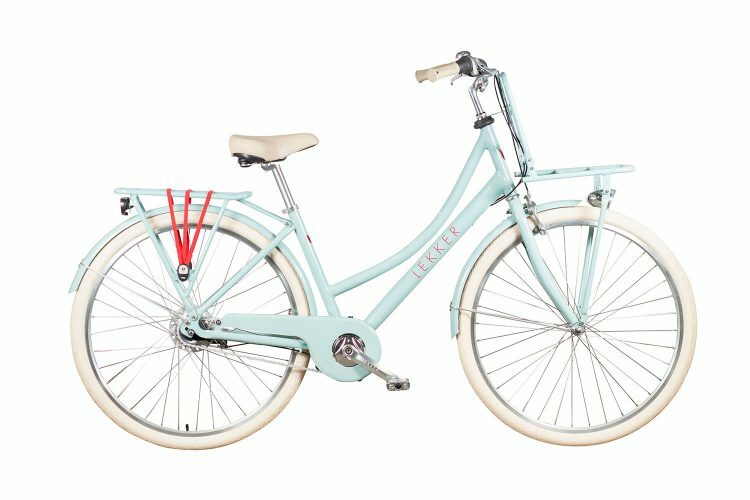 To add some context on the cruiser bike and why we are bringing that Lekker Bikes flavour to the cruiser scene, we should start at the beginning. The term “cruiser bike” first rolled onto the international cycling scene in the early 1930s. Designed with strong frames, balloon tyres, long wheelbases, fenders and relaxed riding position, these bikes were made to be comfortable, low-maintenance, durable and affordable. Over the next couple of decades the cruiser bike earned quite a reputation for itself as a reliable and stylish mode of personal transport. The overall design was quickly adopted and adapted by many manufacturers around the world. Given the geometry of the frames, ergonomics and aesthetic of these first cruisers it is highly likely that they were modelled on another type of bicycle which had been used by countless commuters in The Netherlands since the late 1800s. These “roadster bikes”, often sporting panniers, racks, fenders, coaster brakes, a single speed and a distinct upright riding position, were developed with comfort and practicality in mind rather than speed and efficiency. The cruiser bike enjoyed a bohemian renaissance during the 1970s when Larry McNeely (of Recycled Cycles in Newport Beach, California) started refurbishing the classic but sturdy frames. 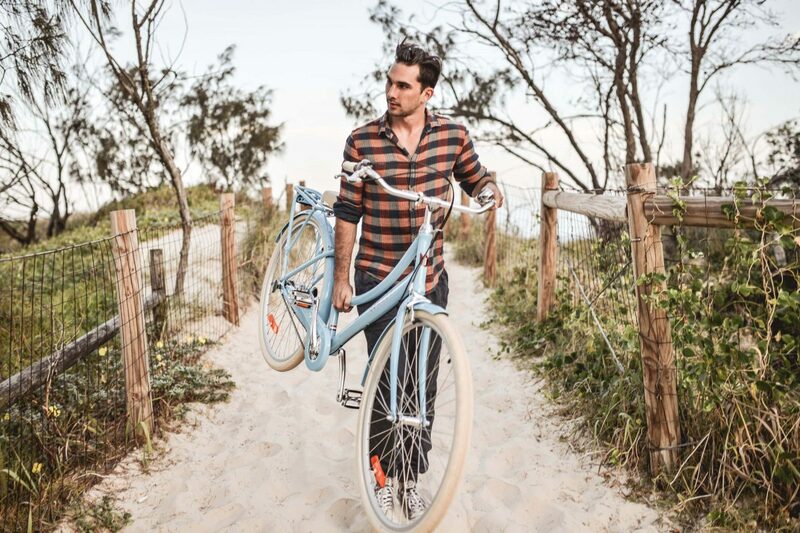 It was Larry who coined the term “beach cruiser” and this relaxed and comfortable type of bike has since populated coastal areas, holiday destinations and garages all over the world as a simple, affordable and robust ride. 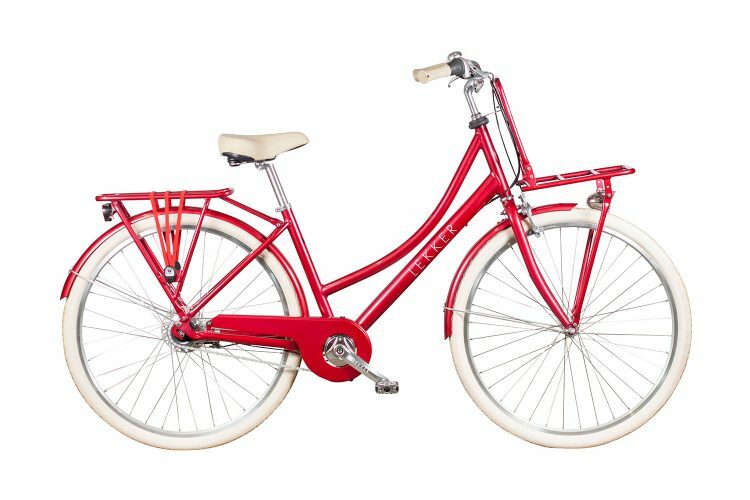 Well… Over the years, men’s and ladies cruiser bikes have experienced surges in popularity. The focal point of this popularity always seems to be their innate synergy of simplicity and practicality. When people needed an affordable alternative to the car that could carry their surfboards, groceries or even families, roadster or cruiser bikes were a great option. 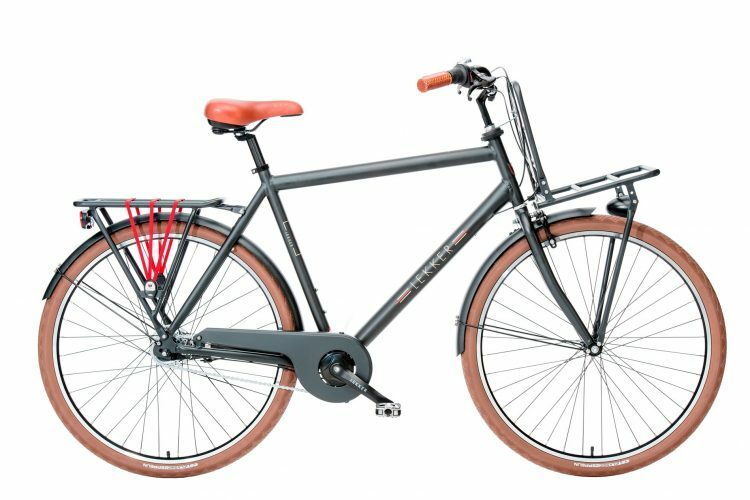 The practicality element has been constant in the evolution of the cruiser bike and it is for this reason that we brought a little modern day innovation to the table when putting together our new Jordaan Series. Keeping in mind that the sturdier-looking frame lent much to the aesthetic of the cruiser bike, we wanted to mitigate the downsides of a heavy steel tubing and components. Fenders are great for keeping puddles underneath the bike where they belong and are a welcome necessity for the overall look of cruisers, but more steel means more weight. Our solution? All of our Jordaan frames, fenders, chain guards and racks are made from strong, lightweight aluminium! This is also a synergistic evolution for bike owners in coastal areas. These areas tend to have a high salt content in the air and this can lead to fairly severe rust on metal frames. Did we mention that aluminium doesn’t rust? “…at a moderate or economical speed”? If this is your speed, then you’ll definitely be able to enjoy these bikes. BUT… Lekker Bikes are all about options and some people might want to choose the option to go fast. The all-aluminium frames definitely help with speed and manoeuvrability but the real magic happens within the 7 speed, Sturmey Archer internal hub. You can coast along beside someone as they walk or dig your heels in and catch up to the peloton with this little innovation. Are we cruisin’ or coastin’? hand-controlled brakes increases the sensitivity of the rider to the bike and improves the safety and overall rider experience… and that’s what we’re all about! OK. Practical and fun… But what about comfort? The Jordaan Series was designed with all three, equally in mind. We have paid particular attention to the geometry of the men’s and ladies bikes to provide the rider with the maximum amount of ergonomics and comfort, for each and every journey. We’ve bustled out the frame to allow oversize tyres to carry you on what seems like a pedal-powered cloud. Not every city in the world has top-class bicycle infrastructure so you need to be ready for a few humps and bumps. The bigger wheels and tyres make for a smooth and comfortable ride, regardless of your cycling surface. Each Jordaan cruiser comes with a front and rear light, ergonomic grips and an inner-spring, comfortably cushioned saddle to make even more buffer zone between the rider and the tarmac. And the Jordaan series now comes standard with lightweight rear pannier and front racks so your cargo is always secure where it doesn’t hinder your journey. 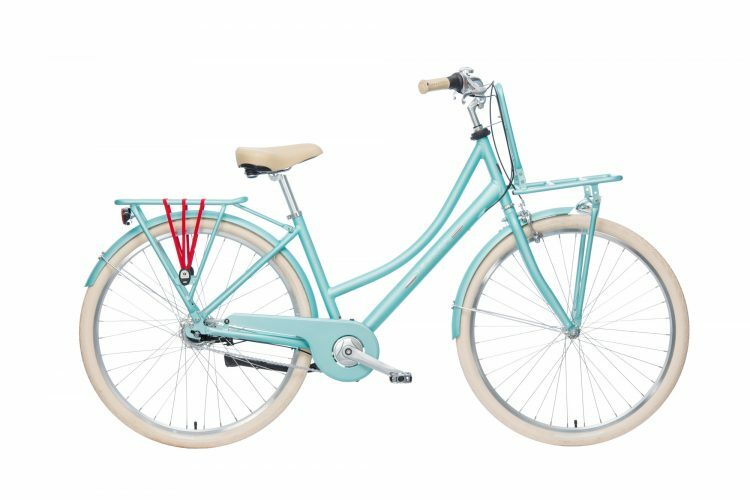 As we said, we’re pretty excited about this newly evolved range of Jordaan Cruisers and we hope you like the choice of colours! This entry was posted in Lekker Bikes. Bookmark the permalink.